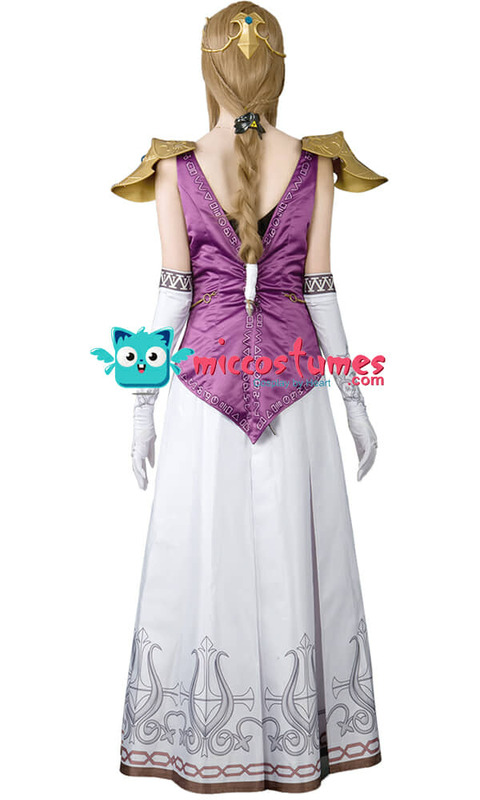 The dream of being a princess not only exists in childhood but roots in any periods for girls. 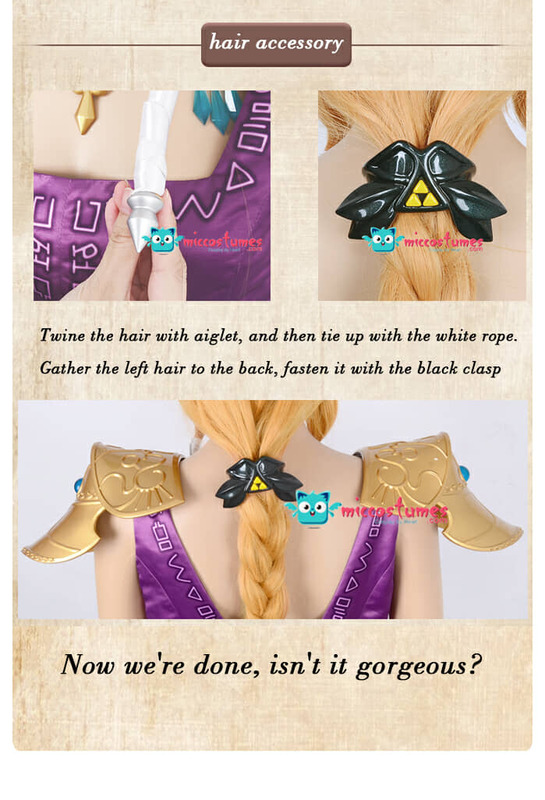 Is there any other better choice than Princess Zelda to make the dream come true? 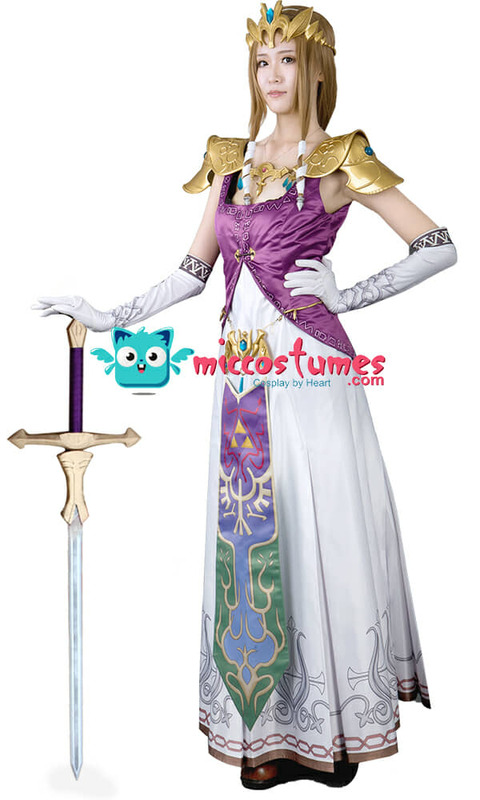 Putting on our The Legend of Zelda Princess Zelda Cosplay Costume, you are princess Zelda from Twilight Princess, just fight for your people of hailer! 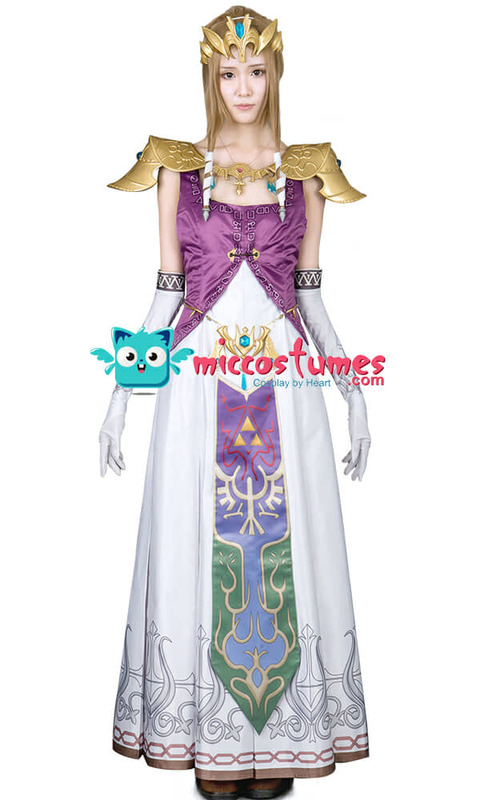 Mainly two parts made up of this princess Zelda complete wardrobe: dress and armour. 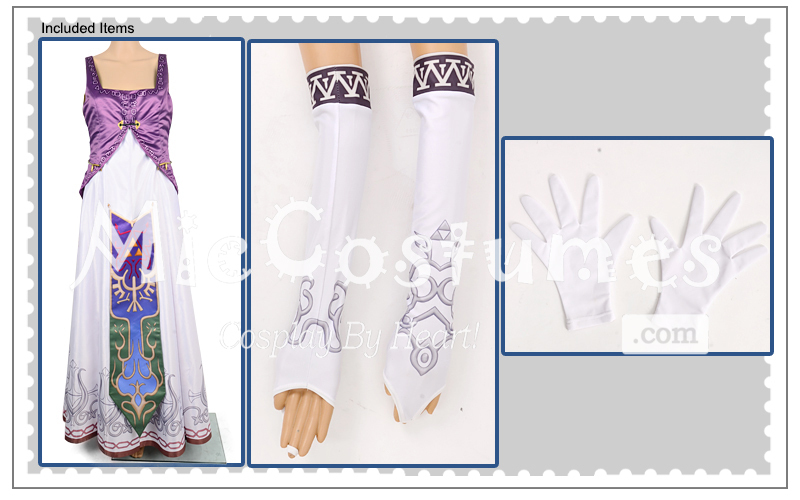 the costume is made from high-quality bridal satin，no matter problem, and no reflect light when shooting. 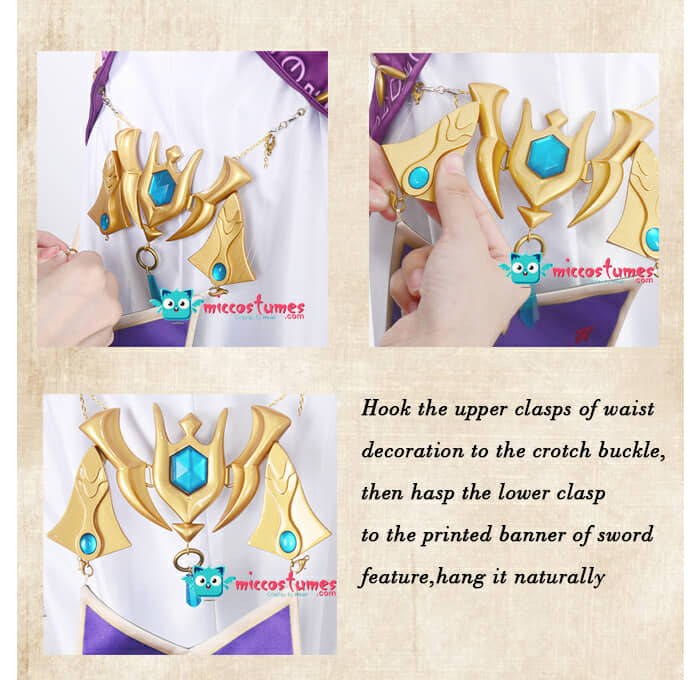 To achieve high revivification of the lute design and other motifs on the lower part of the underdress, our artisans adopted digital printing craft to ensure the exact color and design. Our sample product turns out to be exact with the 3D model of the game. Never mind no worries about fading. I bought this for a short video I did on YouTube, Snake's on a Date with Zelda, and the actress said it fit perfectly. 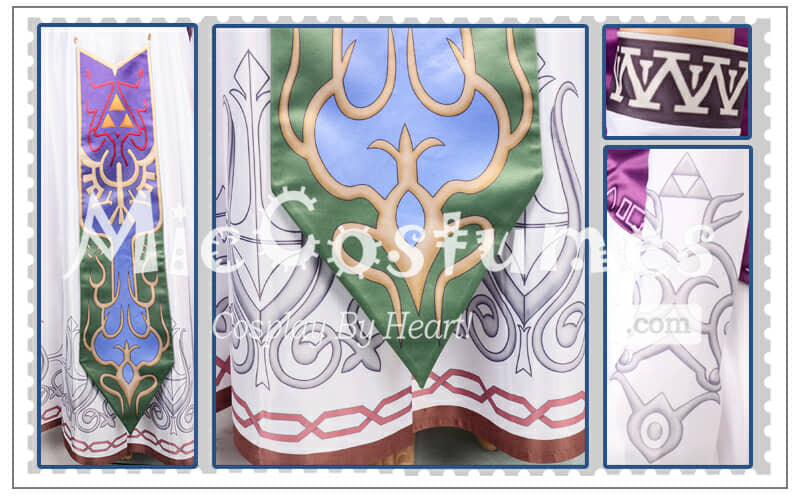 It's a very weighty dress and highly detailed as well. 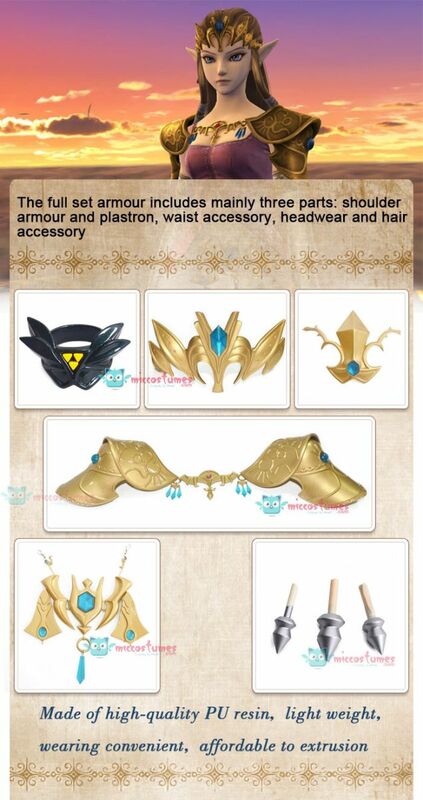 It only comes with the gloves and does not come with the crown or the shoulder pads. But the dress and the gloves are fantastic. 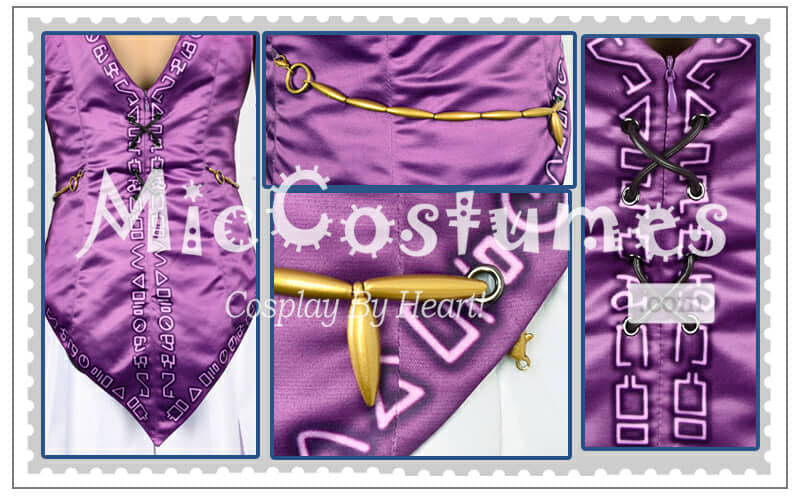 If you need a Zelda costume, this is the one to get!. 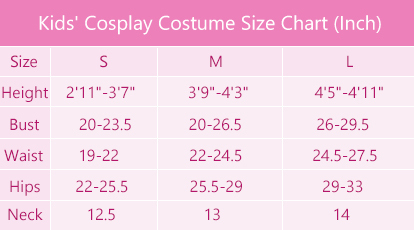 The dress fits perfectly, but the waist belt is assembled wrong (we are 100% sure because we double checked). We are also missing the white ribbons the go in the hair.